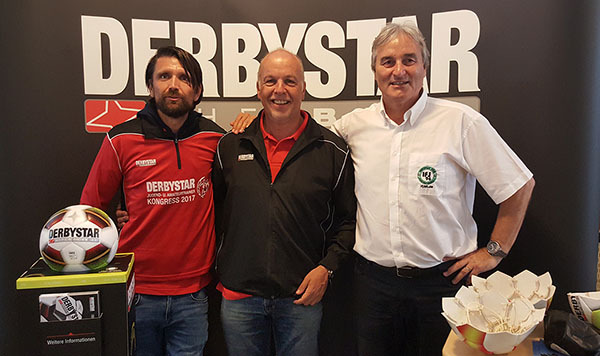 From 23rd to 25th of June there was the Derbystar Congress for Youth and Amatuer Soccer Coaches. 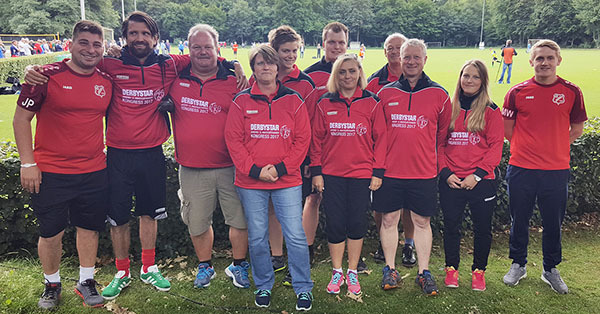 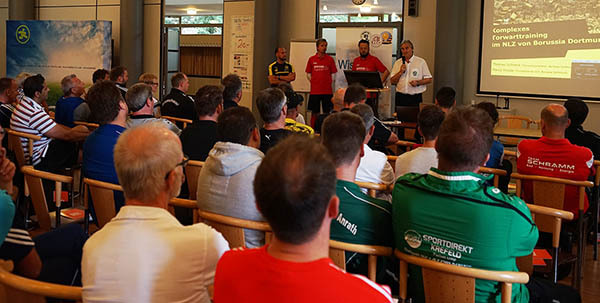 More than 200 Coaches, 70 Demo-Players and 25 Members -Organisation team came to the “Sportschule Duisburg-Wedau” where the DFB hosted lots of events and tournaments for scouting. 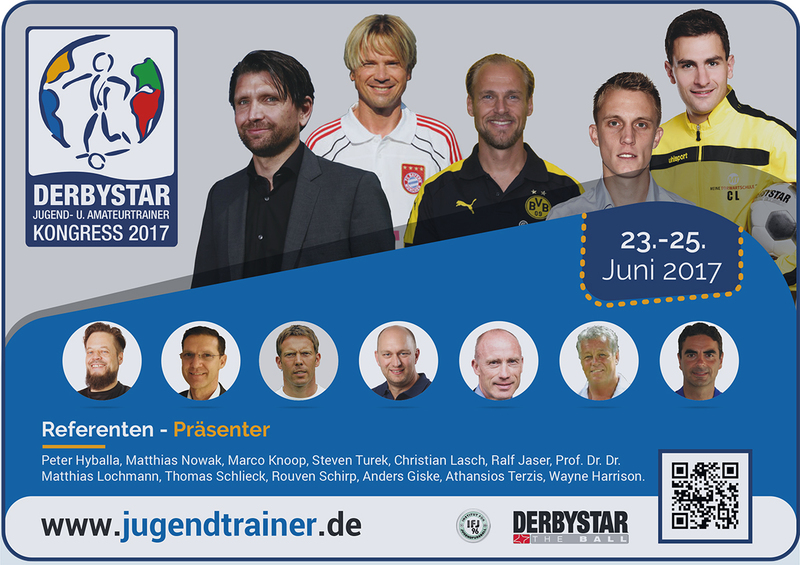 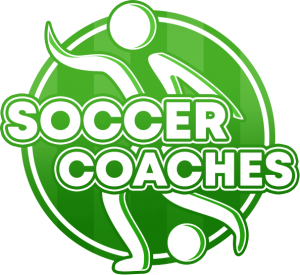 Presenters: Michael Strzys (Borussia Dortmund), Anders Gieske (Norway), Steven Turek (Tactics expert), Peter Schreiner (Congress manager)), Athansios Terzis (Tactics expert), Matthias Nowak (Bayern Munich), Ralf Jaser (Speedclub), unten: Marco Knoop Goalkeeper Trainer Borussia Dortmund), Peter Hyballa (prof. Soccer Coach), Wayne Harrison (California, Soccer Awareness. 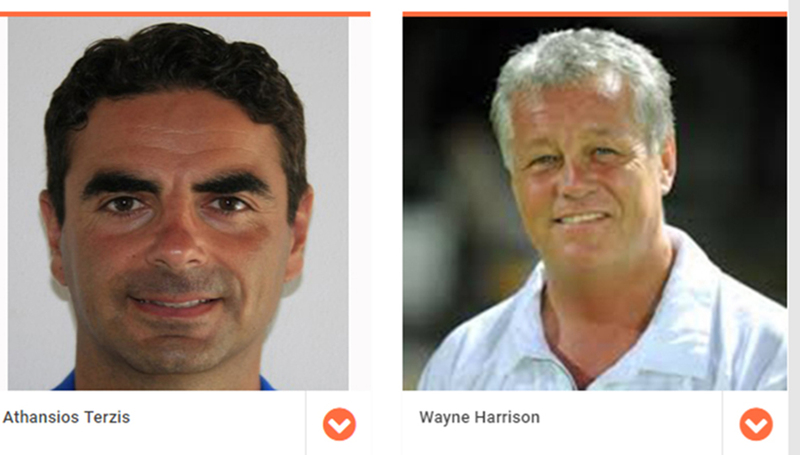 Missing: Prof. Lochmann, Christian Lasch, Rouven Schirp, Andrew Meredith. 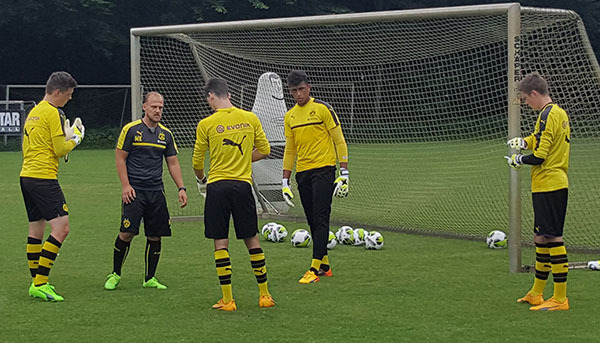 Marco Knoop (Borussia Dortmund) with Goalkeepers form his club. 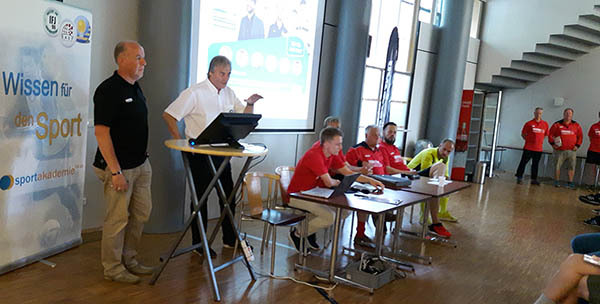 Peter Hyballa presenting drills for “packing”. 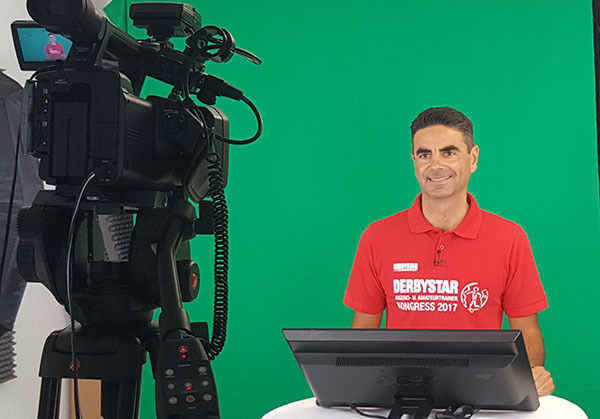 Athanasios Terzis here in our studio has been recorded after the congress. 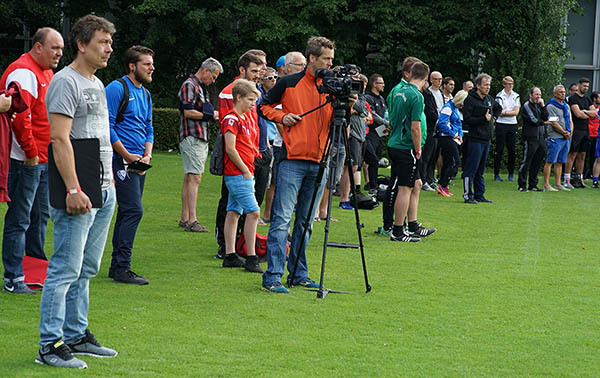 There will be 5 interesting presentations from him.